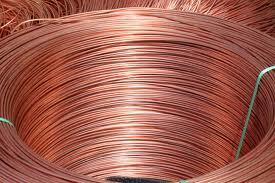 Copper on MCX trade green signal in the domestic market, however international copper also support today. MCX Copper has been touching the levels of 416.50 in June delivery & Current levels for trading 416.20. It’s continuing trying to go upper levels now. Market expect likely to trade range from 415 to 420. Expert says you can sell MCX copper. @ Sell MCX Copper above June 416.50 TGT 415.50, 414.50 Stop Loss 418.50. @ BUY TURMERIC JUN ABOVE 5480 TARGETS 5500 , 5520 , 5550 STOPLOSS 5440. @ BUY MENTHAOIL JUN ABOVE 991.5 TARGETS 994.5 , 997.5 , 1001.5 STOPLOSS 985.5. @ BUY GUR JULY ABOVE 1239 TARGETS 1242 , 1245 , 1249 STOPLOSS 1233.